Canadian company ArtVenture, a first-of-its-kind analytics platform that helps art collectors, investors and art market professionals make well-informed decisions when buying art, will take part in the Unfold Art Xchange conference in Bahrain. The Unfold Art XChange is an unparalleled B2B art business conference and summits platform being held in Bahrain from March 7 to 9. ArtVenture is the first AI-driven platform that aggregates financial and qualitative data on art by providing real-time market monitoring, price analytics and comprehensive asset research. The company, which was interviewed by Forbes at Art Basel 2018, aims to revolutionise the $1.62 trillion art and collectibles market by becoming a definitive resource and reference guide for collectors, wealth and asset managers, bankers, art market professionals and auction houses. According to the 2017 Deloitte Art and Finance Report, the global art and collectibles market is expected to grow from $1.62 trillion in 2016 to $2.7 trillion by 2026. The report cites one of the main barriers to the growth of the market is the lack of data-backed information on the true market value of art. 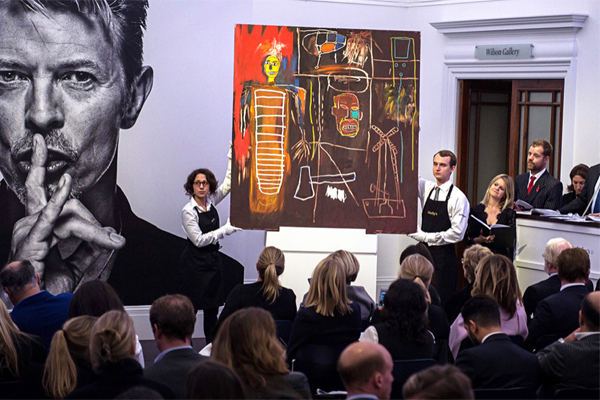 Collectors have traditionally relied heavily on limited secondary market intelligence, art indices and market experts when making purchasing decisions. ArtVenture seeks to address this gap by providing an effective, data-driven tool for navigating the art world. The platform provides information on the artist’s background, including artist recognition, curatorial history, evaluations on the artist’s market performance, as well as tailored recommendations for the best investment purchases.